Fig. 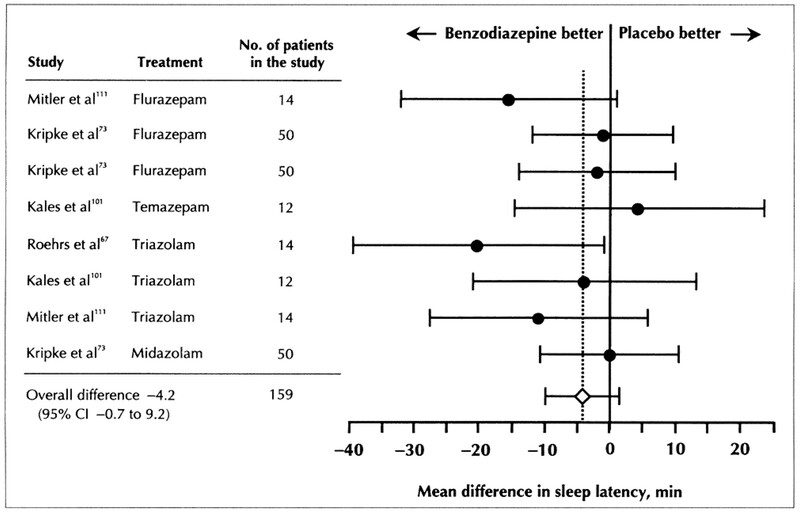 1: Mean difference in sleep latency from sleep records of trials analysing the effect of benzodiazepine versus placebo for the treatment of insomnia; 1-7 day treatment (test for homogeneity, p > 0.05). Fig. 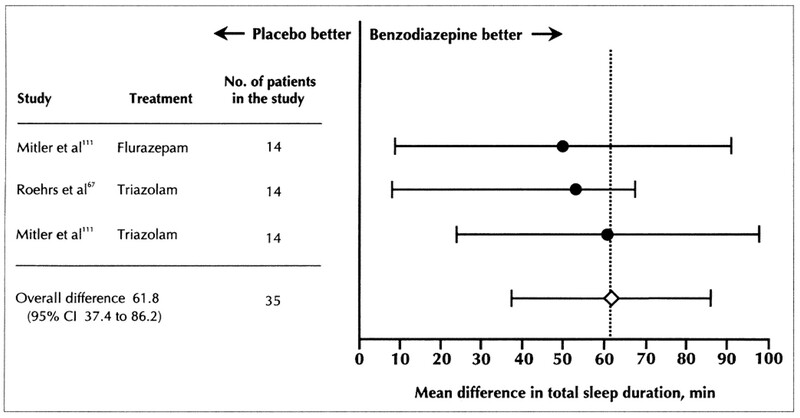 2: Mean difference in total sleep duration from sleep records of trials analysing the effect of benzodiazepine versus placebo for the treatment of insomnia; 1-7 day treatment (test for homogeneity, p > 0.05). Fig. 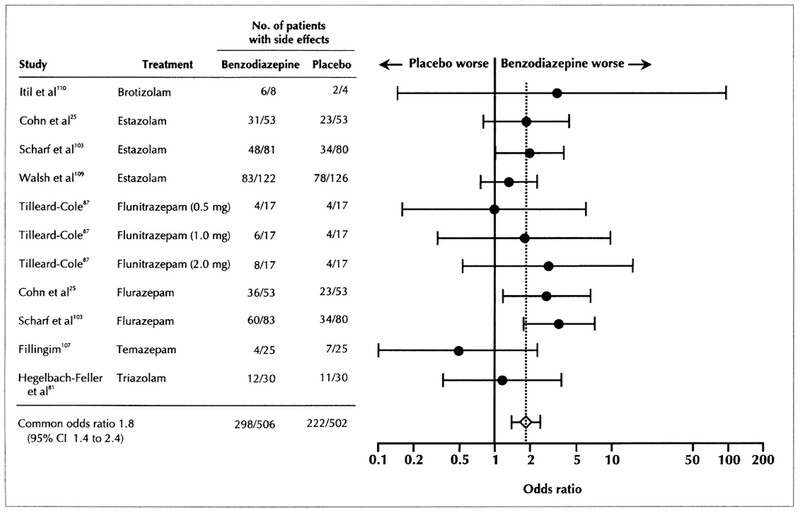 3: Odd ratio of trials analysing effect of benzodiazepine versus placebo in terms of total number of adverse events; 3-7 day treatment (test for homogeneity, p > 0.05). Fig. 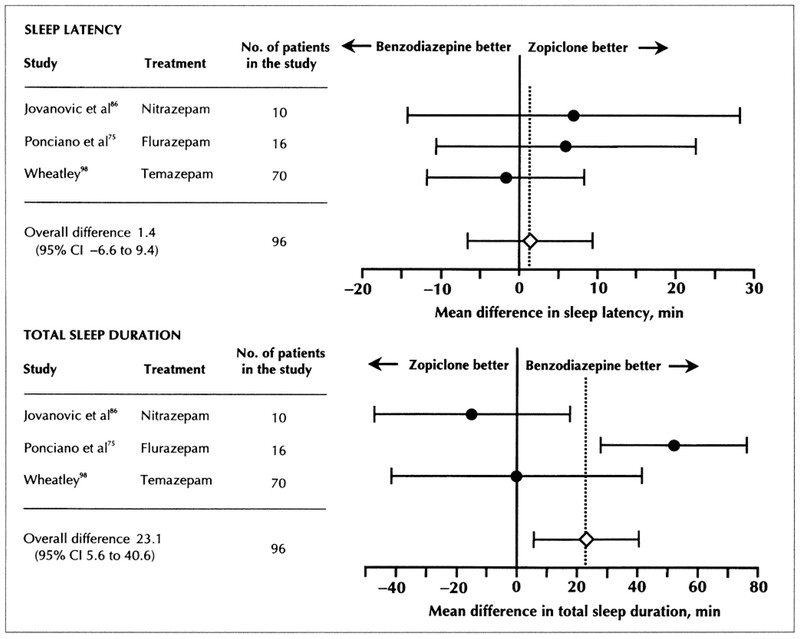 4: Mean difference in sleep latency (above) and total sleep duration (below) of trials analysing the effect of benzodiazepine versus zoplicone for the treatment of insomnia; 3-7 day treatment (sleep latency studies test for homogeneity, p > 0.05; sleep duration studies test for homogeneity, p < 0.01).